We all know it’s true. 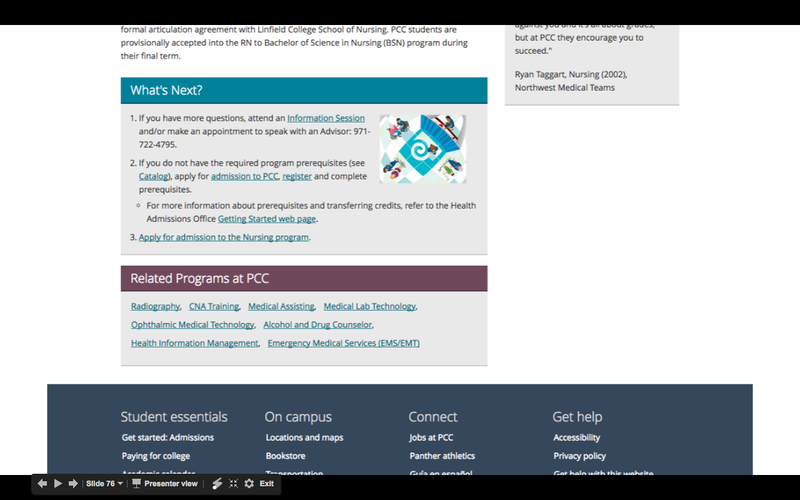 The academic program pages are (or should be) the Super Stars of any community college website. They are your primary vehicle for attracting and converting prospective students into your various programs. These pages are so vital to the enrollment pipeline, that knowing what content to put on them and how to optimize the pages for conversions is absolutely critical. We reached out to community college communication professionals all over the country to ask a few simple questions. What is the purpose of your program pages? 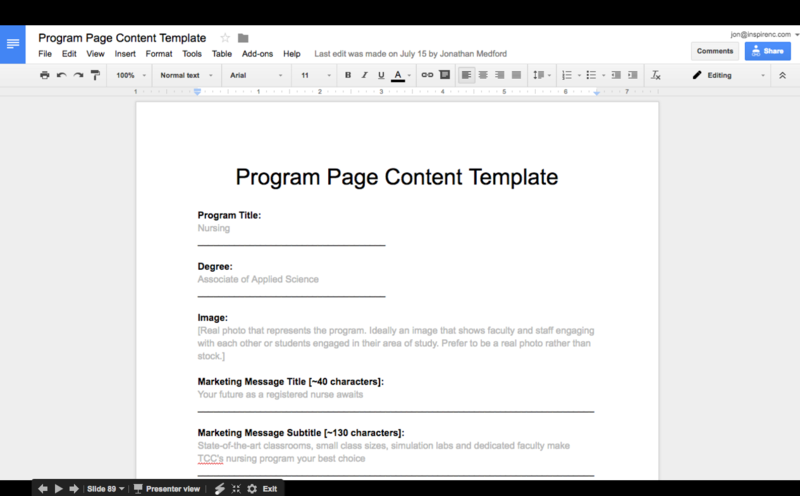 What content is a must-have on your program pages? Is there content you do not have that you wish you did? 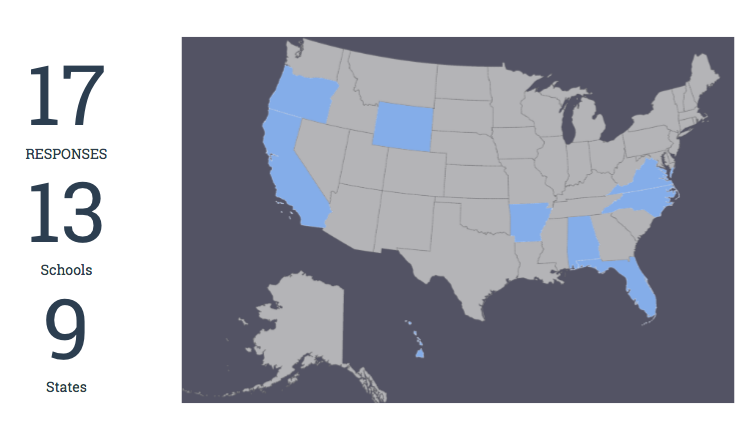 We received 17 responses from 13 different schools in 9 different states. This entire blog post is based on this valuable feedback. Thank you to everyone who contributed. Enjoy. 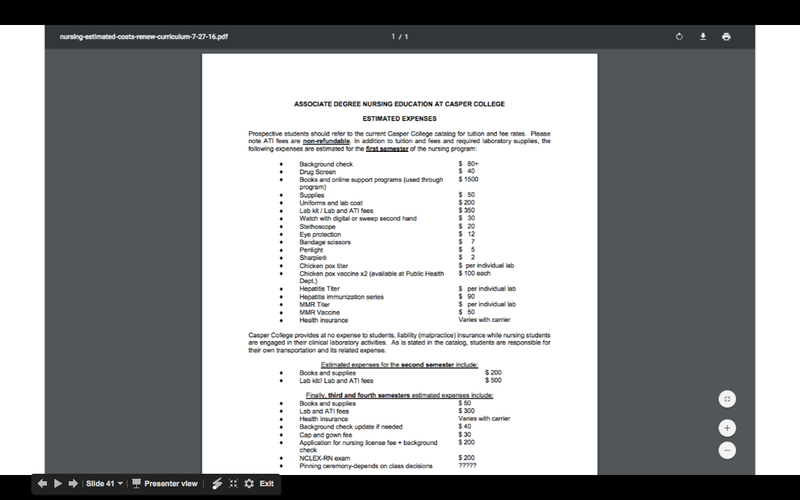 Program pages should have a driven purpose to sell the potential occupations of prospective students and be written from a marketing perspective, rather than an instructional viewpoint. They should also serve as a hub of information for current students and meet the content needs of the academic department. That is certainly a tall order for a program’s primary landing page. How does your community college’s program pages stack up to this definition? Not so good? Don’t worry, there is no reason to panic. We have seen a lot of program pages and very few come close to maximizing their potential. This blog post is full of fresh ideas for must-have content and is also full of links to examples (good, bad and indifferent). I gave a breakout session at the PRIMA NC Conference recently and have been beating myself up ever since for not addressing this very important point. There are two approaches to Program Pages. There is the Program Approach and there is the Pathways Approach. Before you go through this list of must-have content, I think it is important to understand the difference between the two approaches. The Program Approach provides high-level content based on the overall topic of the program. Schools that take this approach will typically have an alphabetical listing of all of their program pages. 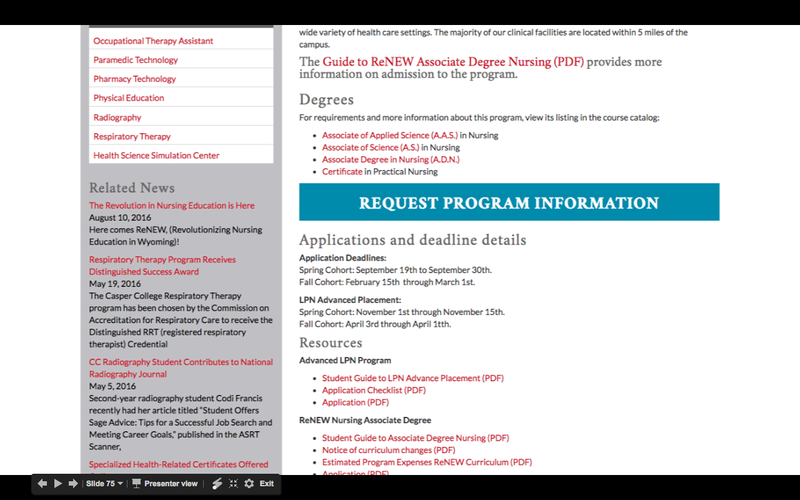 The prospective student that is interested in Nursing would simply click on Nursing. 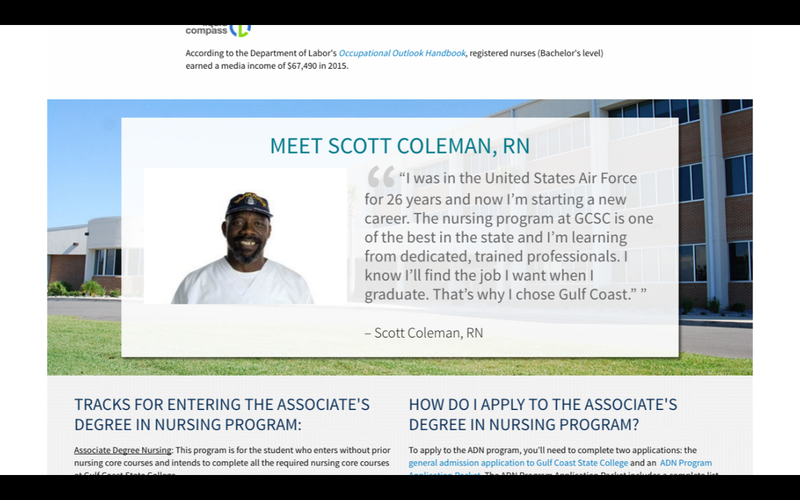 From the Nursing page, they would be given very broad information about the program offerings and be given their choices of credentials (degrees, certificates, diplomas) associated with the program. The Program Approach is easier to implement because it requires fewer pages and provides information about the program in a more compact manner. There is a major drawback when it comes to providing specific content though. The career outlooks, the cost of the program and time to completion for a student planning to be a Registered Nurse (RN) is very different than for a student planning to become a Nurse Aid. 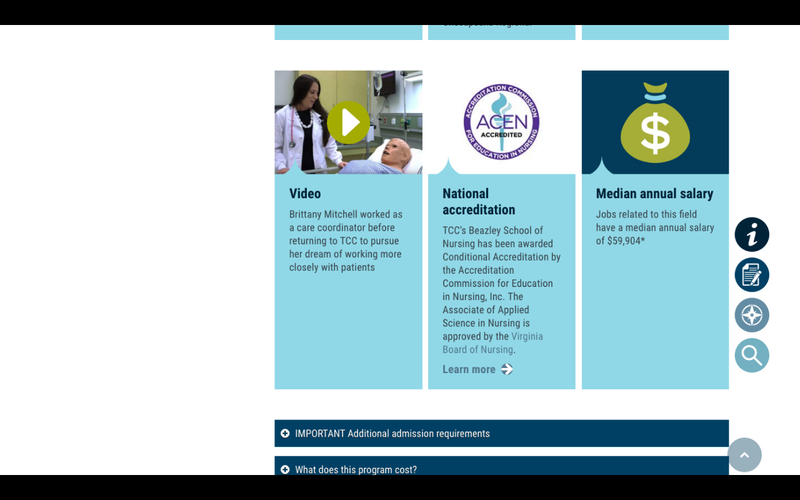 Because the Program Approach is so broad in its scope, you have to talk about Nursing in broad generalities. You might also run the risk of overselling the career outlook of the Program in general because what you write may not necessarily apply to the lower-level credential. The Pathways Approach to very specific to the credential being earned. 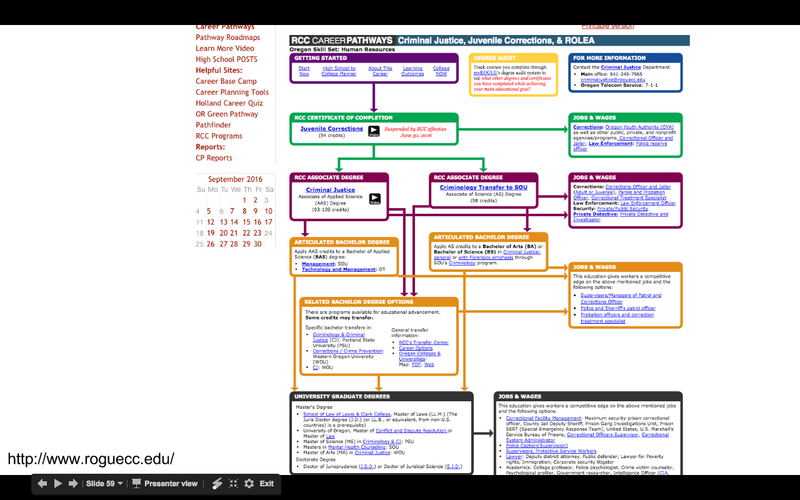 These credential-based pages are typically organized into pathways which relate to similar careers and industries. 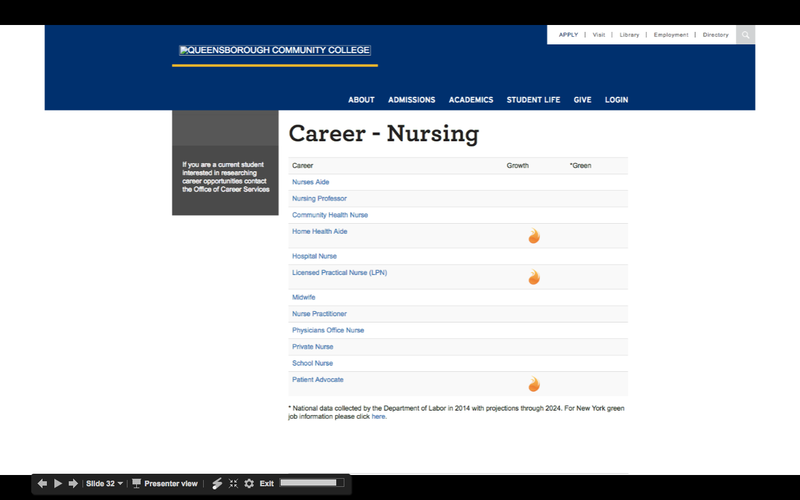 The prospective student that is interested in Nursing would go to the Health Professions pathway. 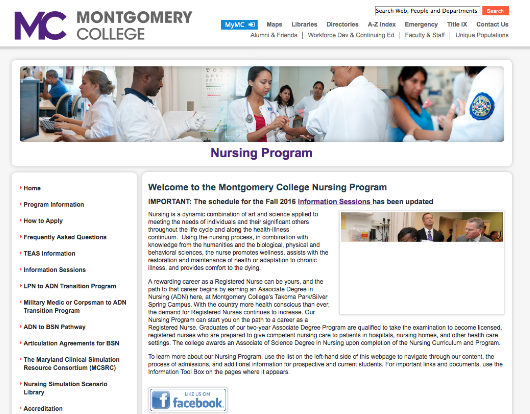 From this page, they would find Nursing and choose either Associate of Applied Science or Nurse Aid Training Program. The beauty of this approach is it allows you to tailor your content to the specific student experience and career outcomes that relate to that particular credential. 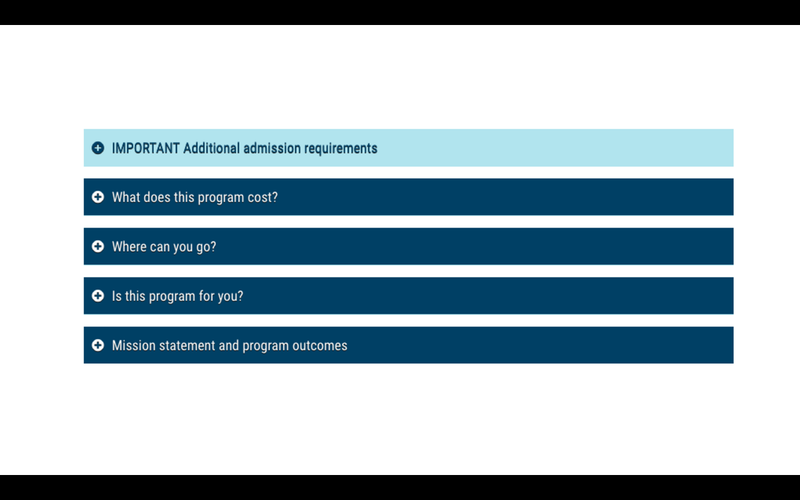 This approach allows you to answer, with specificity, how long it takes to complete the credential, how much will it cost to attain the credential, what job titles can you expect to qualify for, what is the career outlook, and so much more. Creating content pages for every credential might seem like a lot more work, but it is so much easier to develop content when you are talking about specifics and not summarizing in generalities. Just about every respondent mentioned the importance of having a good visual to selling the potential career or student experience of the program. Images should be compelling. They should come across as authentic and relevant to the program. They could show photos of students and faculty interacting with each other or show occupation-based photography. Your use of images should be consistent across all program pages. Make sure they are of equal size and placement. If you opt for full width images you typically have to reduce height. This can make it difficult for you to find ultra-wide shots that crop “just right”. If you go full-width and make no attempts to reduce image height, you can cause the user to have to scroll far before they get to textual content. Using smaller images that are 1/3, 1/2 or 2/3s the size of the page can allow you to utilize left column navigation for easier browsing. Be sure to size down images for their finished use and utilize image compression to reduce file size. Google tracks page speed and factors this in how it ranks your pages. There is no reason to use a 5000 pixel size image for 200 pixels of your website. Take the time to resize the image to what is necessary for the page. 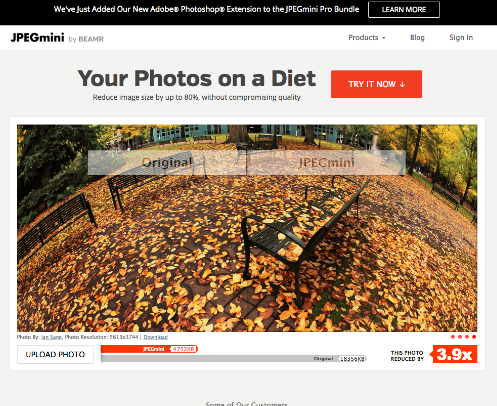 Reduce your image file sizes by 75% by using JPEGmini.com or ask your CMS provider if they can auto optimize and compress images for you. When is an image too large? When the main image takes up so much space you have to scroll to see any content, it might be too large. Here is a typical use of compelling, full-width images. This has typically been the approach we have taken with our clients in the past. 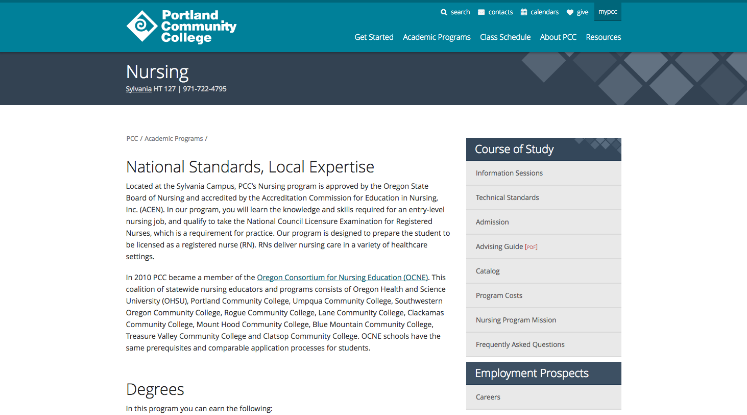 PCC has opted for a Nike-esque/minimalistic approach to their program pages which are sans images. Is less more or is less…umm…less? The perfect mix of using an image without it being too overbearing to the page and disrupting a user’s navigation flow on your site. You need to include a brief description of the program that includes the job outlook and traits of successful people in the program. This should be written in an engaging, second person perspective. The best way to think about it is an elevator pitch. You are in an elevator with a prospective student and you only have 60 seconds to grab their attention and sell them on your program. What you write on the website must have enough of an effect that they want to engage with the rest of the web page. Located at the Anonymous Campus, our Nursing program is approved by the State Board of Nursing and accredited by the Accreditation Commission for Education in Nursing, Inc. (ACEN). In our program, you will learn the knowledge and skills required for an entry-level nursing job, and qualify to take the National Council Licensure Examination for Registered Nurses, which is a requirement for practice. Our program is designed to prepare the student to be licensed as a registered nurse (RN). RNs deliver nursing care in a variety of healthcare settings. Are you interested in working in a healthcare environment? Does working with people invigorate you? Do you want a career that is exciting, challenging and in high demand? Are you looking for a career that is well-paying? If these fit your career goals, you may want to consider a career as a Registered Nurse (RN). Promote the occupations that are related to the program. Prospective students want to know that they are going to get a return on their investment and/or work in a satisfying career. There is a wide-variety of job market data which you could include. You can talk about specific salary ranges and provide an overall industry outlook. You could use Indeed’s widget tool to filter and display related job postings. Our favorite websites had a listing of job titles with each one being its own content page full of detailed information on that career. Gainful employment information may be a requirement for some programs. You may also need to list completions (# and %), placement in field (# and %) and licensure (# and %). Queensboro Community College has a nice little section that displays various job titles, all linkable to more info. 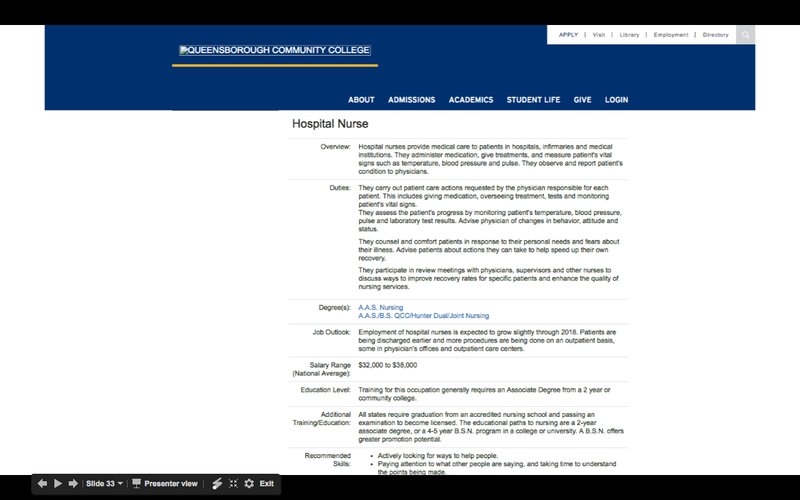 QCC’s Hospital Nurse career page provides an overview, duties, degrees, outlook, salary range, skills, etc..
Portland Community College does a great job providing a narrative of a career in Nursing. 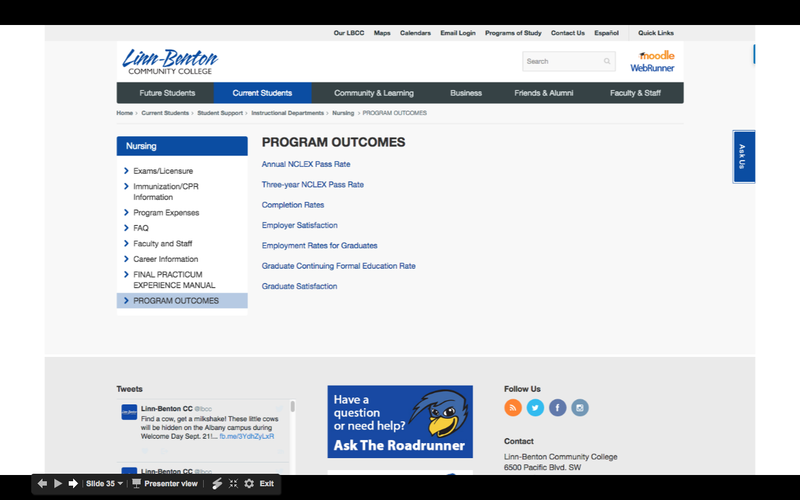 Linn-Benton Community College provides access to several document types (Word, PDF, spreadsheets) which communicate various program outcomes. 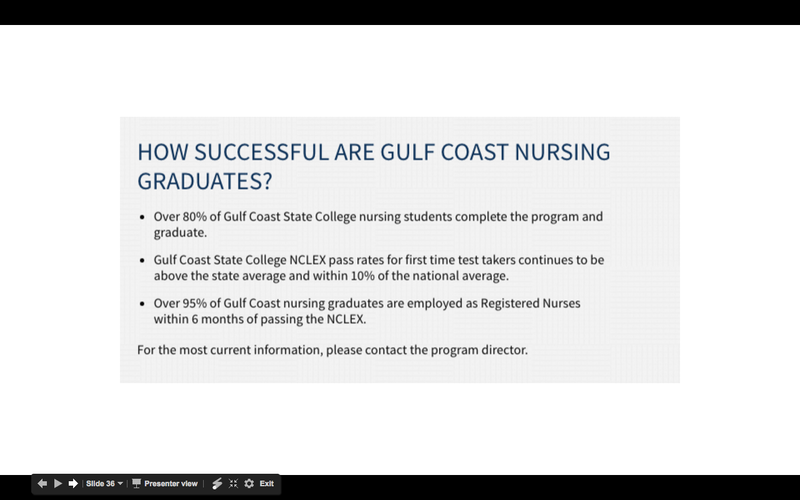 Gulf Coast State College provide a quick summary of Program Outcomes. You can request more info. LBCC provide’s such a detailed description of costs that it warrants its own sub-page. Many colleges rely too much on PDFs. We would rather see this as web page content. 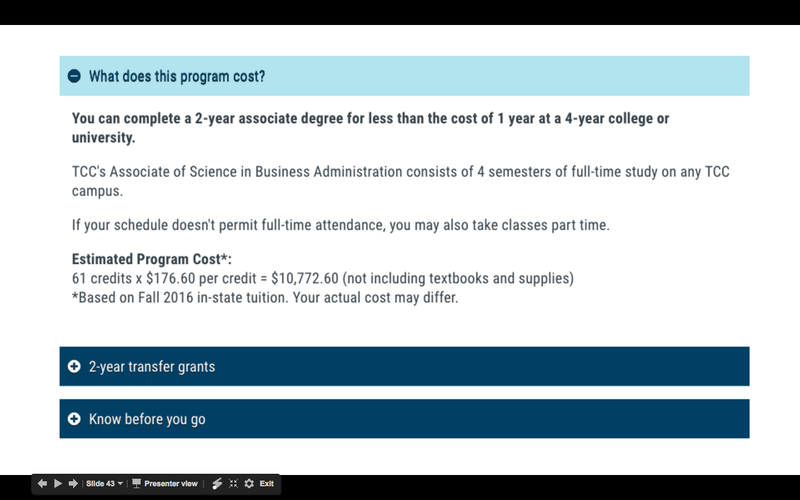 If you want to keep cost info on the main program page, the accordion menu is the perfect tool. This is not a comprehensive list of expenses, but offers a summary based on credit hours. Notice the content box that calls out the availability of evening and weekend programs. 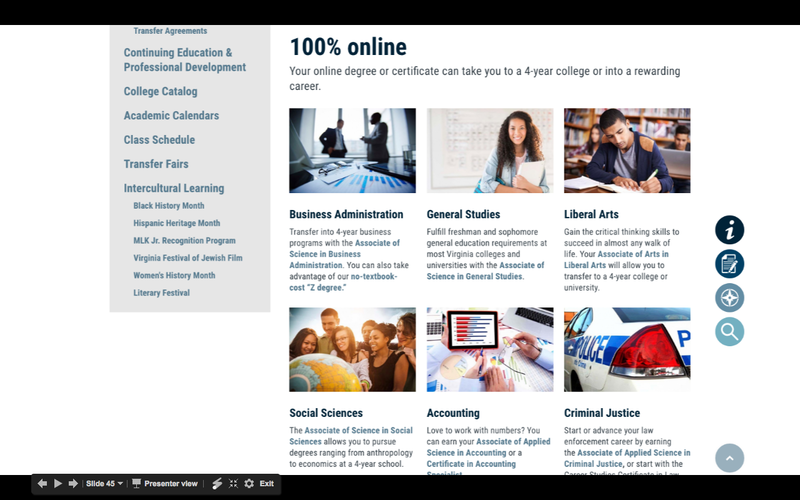 Do you offer 100% online degrees? 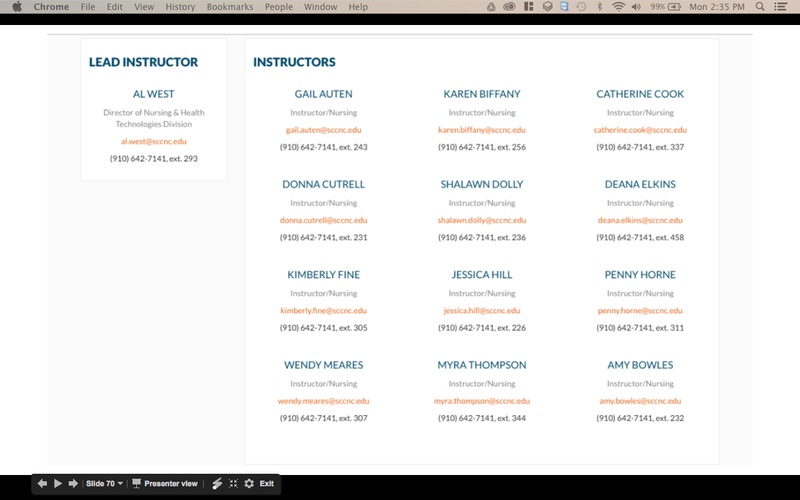 We like how Tidewater CC groups their online courses together. 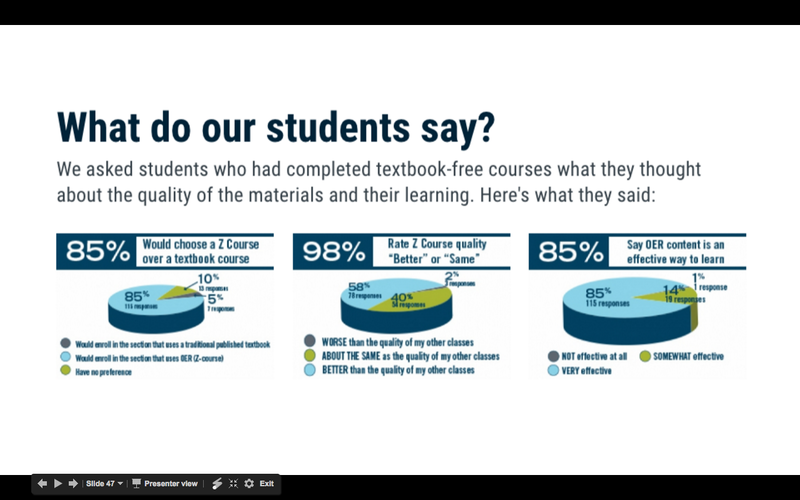 The next revolution in HighEd will be OER (Open-Source Educational Resources). Instruction may not be open to the shift to OER, but students love it. The way you display your curriculum for your program depends heavily on if you took the Pathways Approach or the Program Approach. 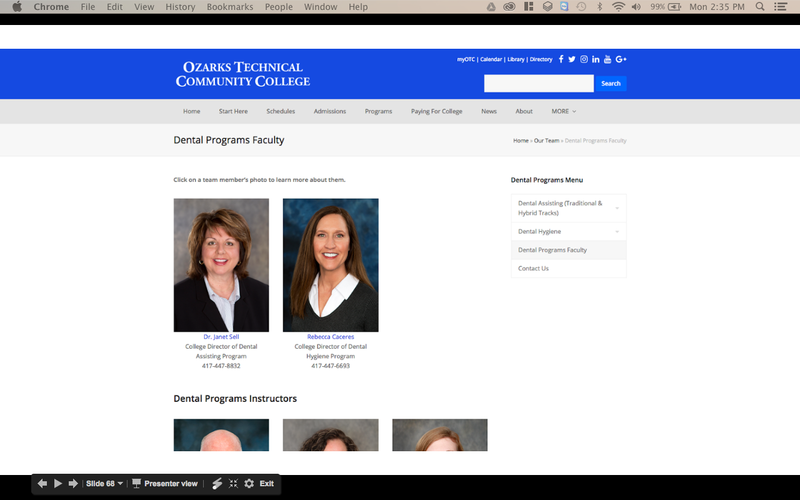 Program Options could include information like Program Type (certificate, diploma, degree) and the format of the classes (day, evening, online, hybrid). 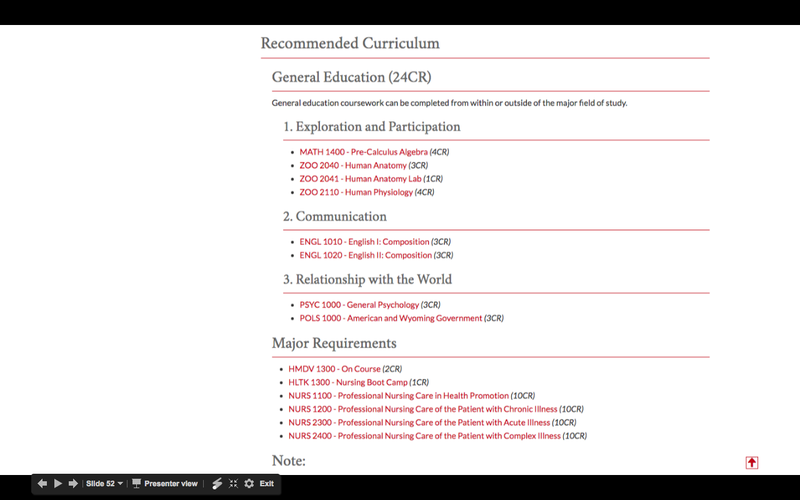 The actual curriculum information is typically a link to a subpage. 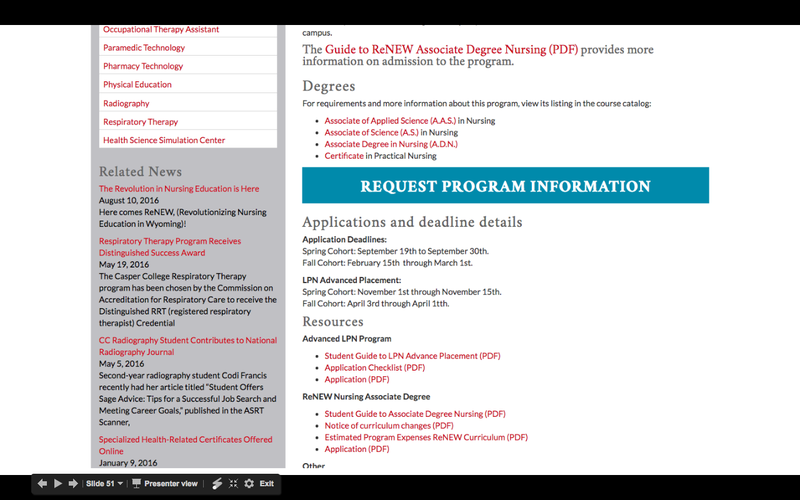 Many colleges still rely too heavily on PDF documents to display course catalog information. We would rather see curriculum as a dynamically-driven database that allows you to drill down by Program Page > Degree Page > Course Page. Course Information should include Outline, Course Sequencing, Credit Hours and Prerequisites. Schools that use Acalog, Colleague by Ellucian or Banner by Ellucian should be able to setup an automated CSV export of courses that can be imported into the website as a scheduled task. This makes it much easier to maintain curriculum information on your website. 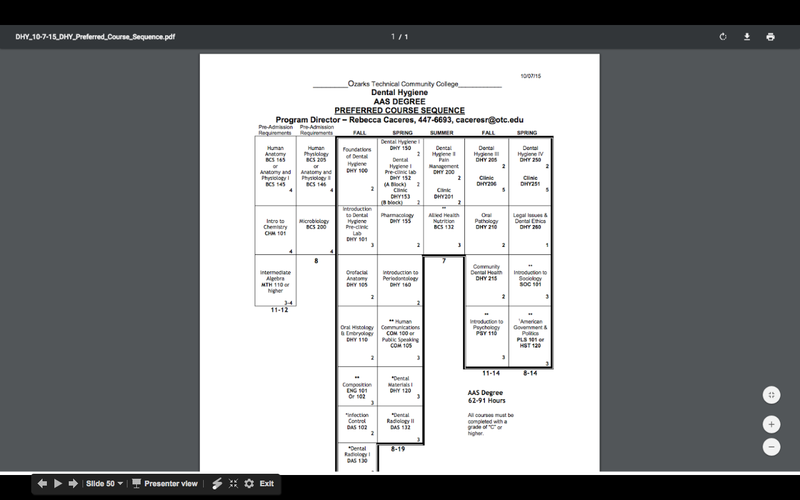 Here is an example of a course sequence you will typically find in a PDF document. 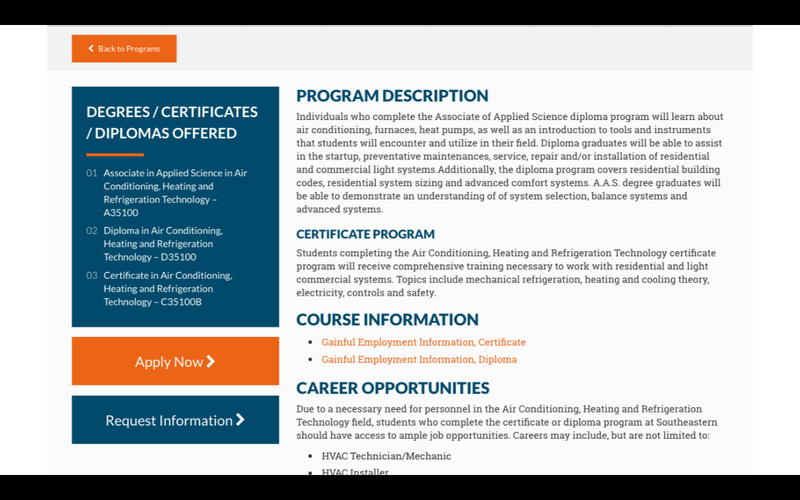 Here is an example of choosing a degree page from the program page. Curriculum content page from Casper College. 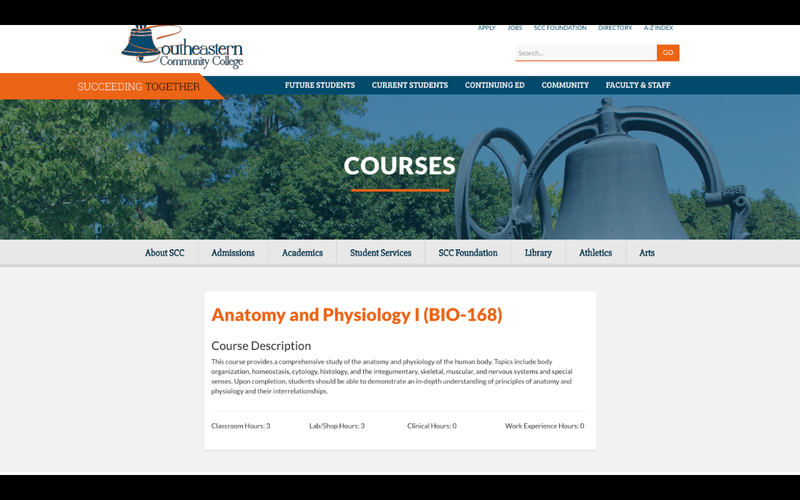 Database driven curriculum content page from Southeastern Community College. 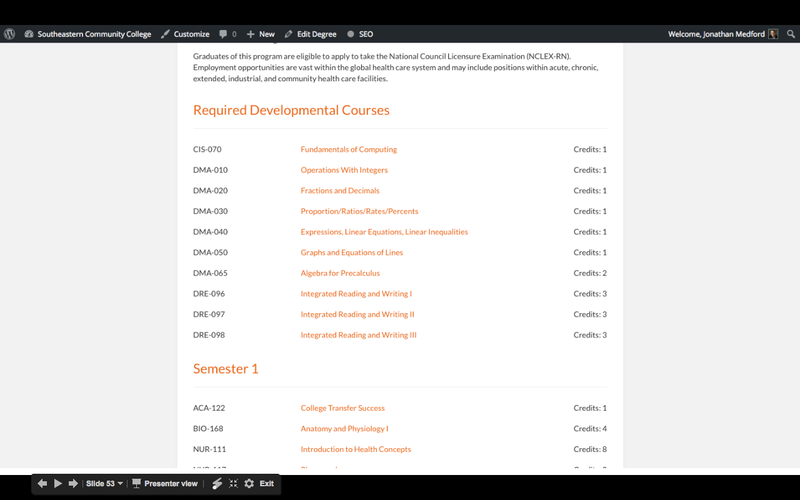 Building block course page that is part of the College Inbound degree builder. You are probably way ahead of the game if you are discussing transfer opportunities that are specific to a particular program. This section is also a great opportunity to showcase the cost savings comparison for participating in a transfer program. 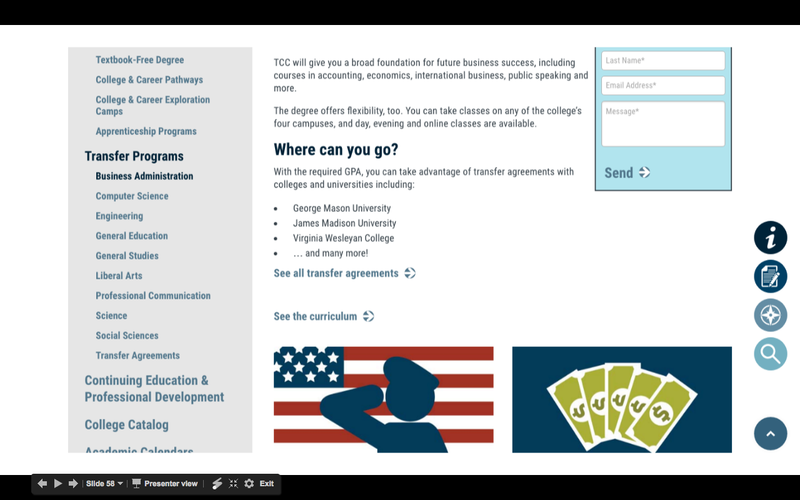 Truly advanced program pages will provide a Career Pathway Roadmap. This is a graphic display of the path from first certificate of completion to the two-year or four-year degree. The roadmaps can also include employment information. 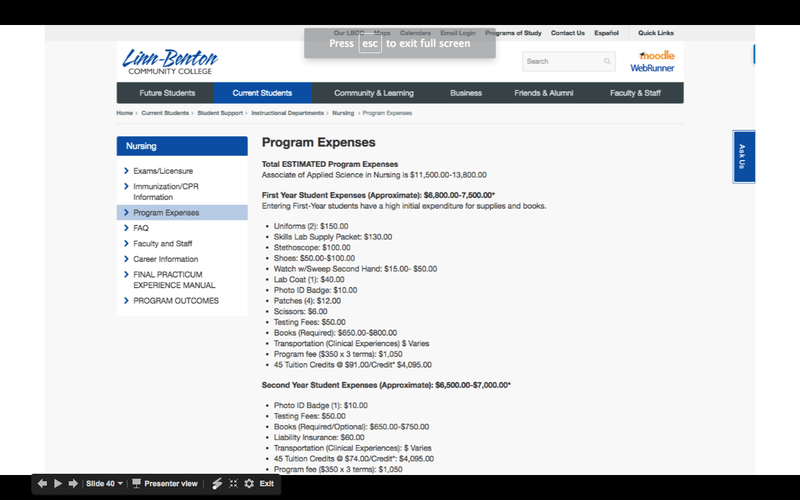 Linn-Benton Community College illustrates cost savings with this comparison chart. Tidewater CC lists the most popular transfer options, but you can also click to view so much more. Rouge CC put a lot of work into creating graphical pathways for each one of their programs. When Allison Treloar came from the private sector to work at Tidewater Community College, she noticed that HigherEd has a tendency to bury the most important information on their websites. 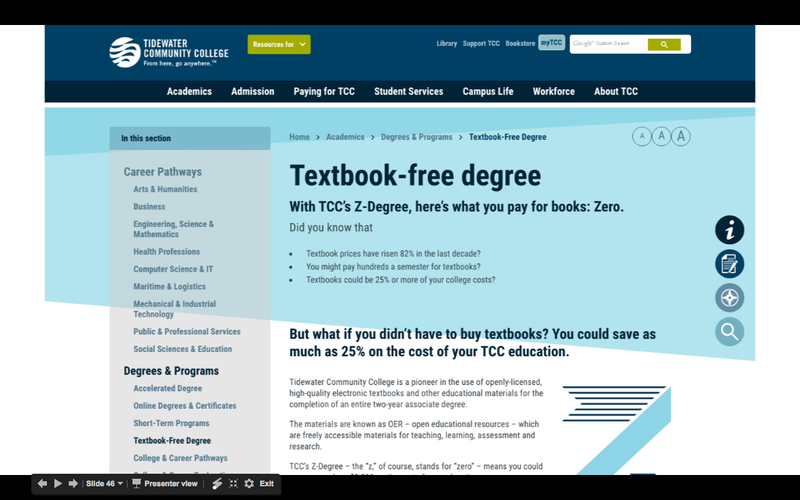 She knew TCC needed to approach their new website as if they were a popular e-commerce site like Amazon. Their focus was on selling programs up front and providing quick links on program pages to “related programs”. Since they already implemented a Pathways Approach to organizing their programs, it was easy for them to group similar program offerings. Don’t treat the program page as a final destination. Treat it as part of their journey as the prospective student finds the program that is perfect for them. 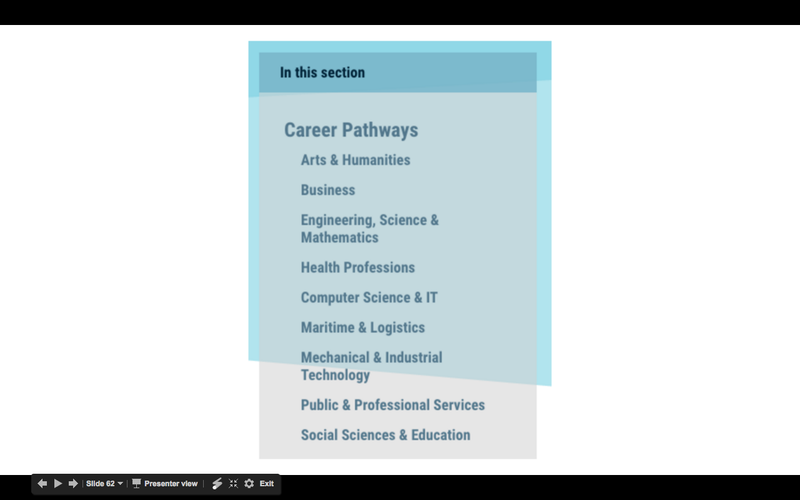 Career Pathways help prospective students quickly browse multiple programs/careers they may be interested in. 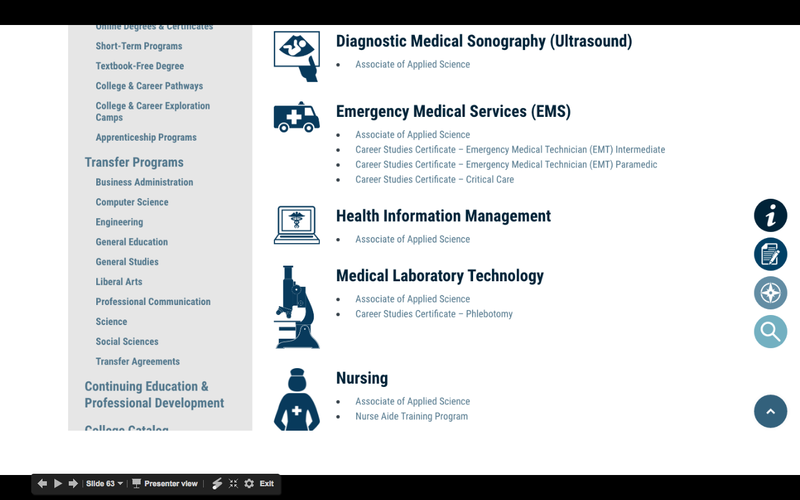 This pathway lists all of the programs related to the Healthcare field. You can explore related programs directly from any program page. 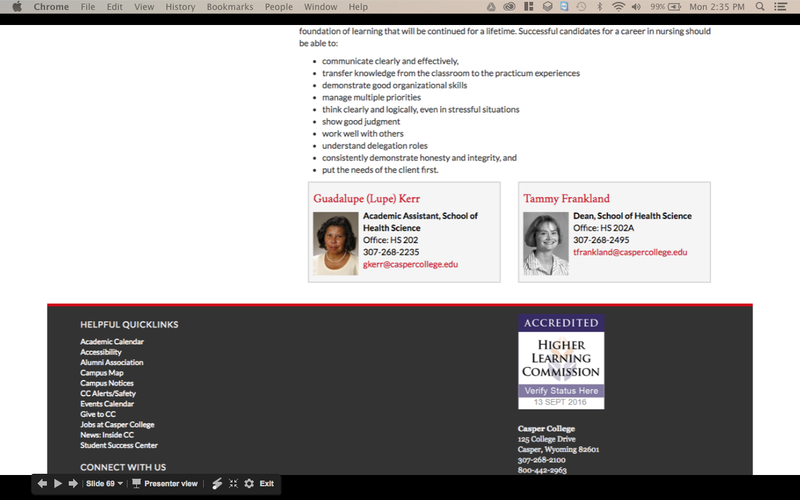 Having program faculty and advisors included on the program page is important for both recruitment and student success. This would preferably include photos and contact information like name, email and phone. This could also link to faculty individual pages if applicable. When I interviewed Dale Stowell for the College Marketing Podcast he mentioned how he developed a relationship with his future instructors before he ever became a student at Linn-Benton Community College (Listen at the 31 minute mark). Providing this information will help those prospective students that are looking for the right fit. 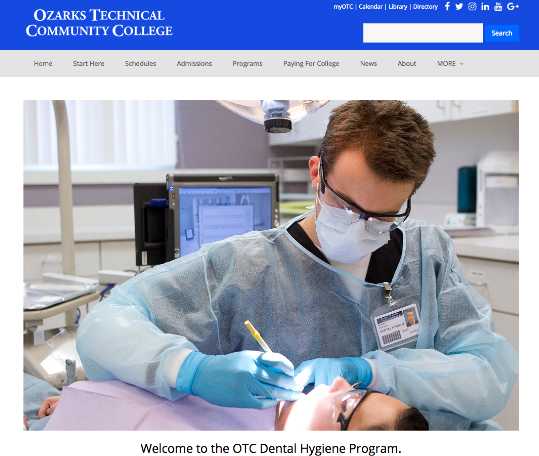 Ozarks Technical CC provides professional head shots of each faculty person on its program pages. Casper College takes a more concise approach by providing only key contacts info at the high-level. Sometimes it is hard to get instruction on board with photography. Southeastern CC (Whiteville, NC) does not display photos. Request information about this program. 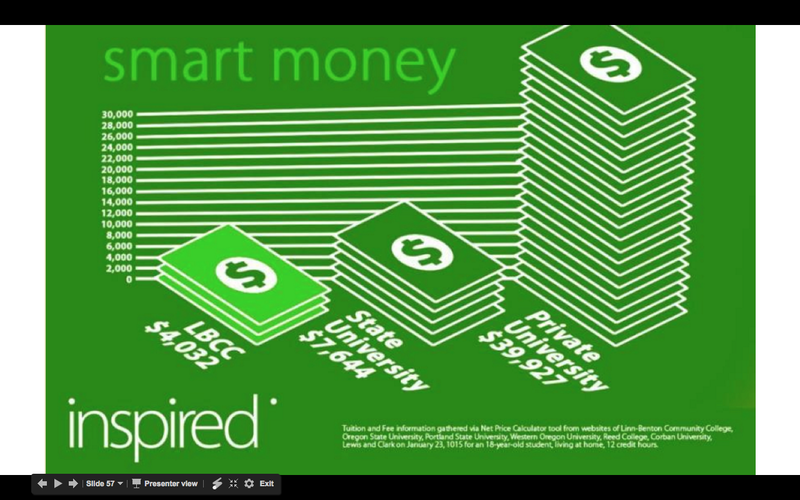 Get started with Financial Aid. Ask the lead instructor a question about this program. Request a tour of this program. Watch a video tour of this program. Southeastern CC has to large CTAs in the left column: Apply Now and Request Information. 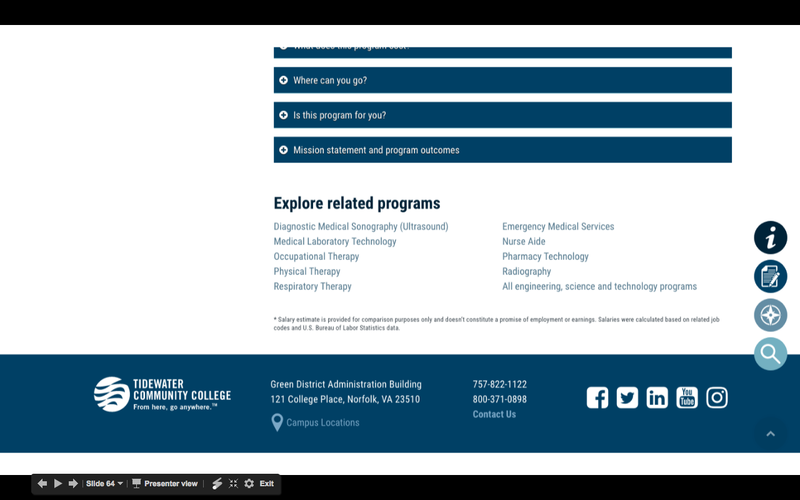 Casper College has a large Request Program Information CTA on each program page. 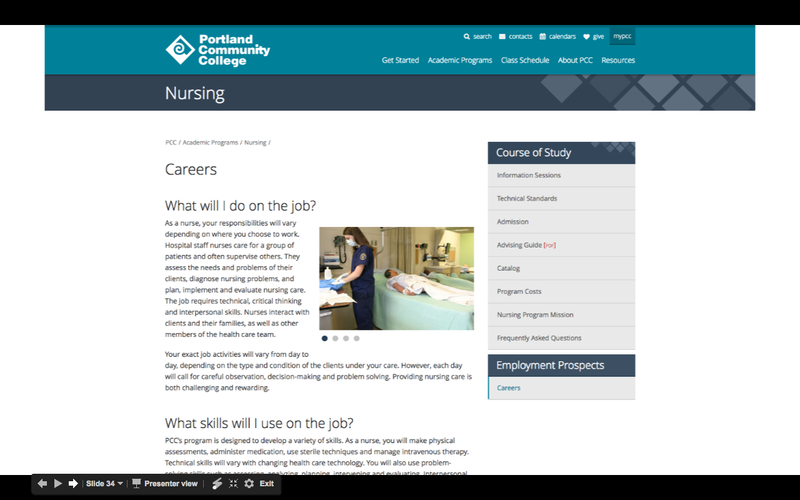 The “What’s Next?” box on the Portland CC program pages is full of action-oriented CTAs. There is no better way to make your program pages relatable than having testimonials that make prospective students stop and say, “he or she is just like me and look what they did”. Your testimonials could feature students, impressive faculty and successful alumni. Success Stories could be as simple as short written testimonials and as complex as video spotlights. Start assessing which programs have success stories, and which do not, and start the process of filling the gaps. Don’t have time to create engaging success stories? Testimonials can be gathered and implemented much quicker. 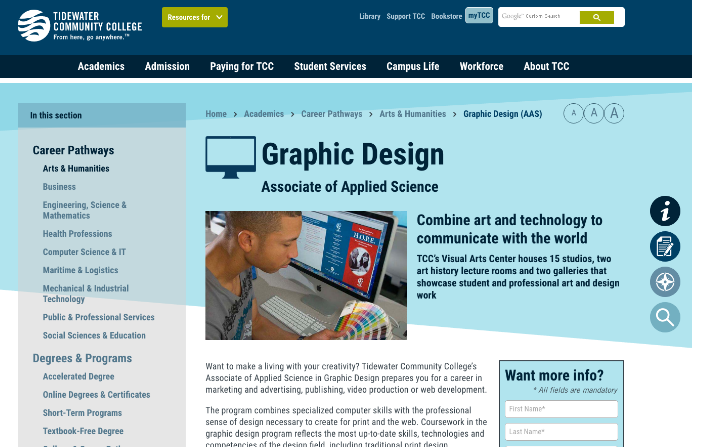 Tidewater CC uses video success stories specific to each program page. Content marketing should be a strategic part of your recruiting efforts through news, events and blog posts. You can post events specific to the program, like information sessions. You can post announcements about student and faculty achievements. 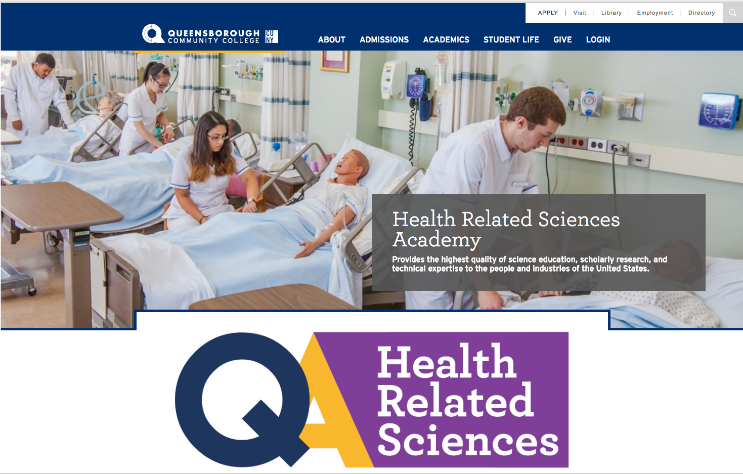 You can curate content on community events related to this field of study (health fairs at the local hospital, related events at the Chamber of Commerce). You can post news or announcements from the program faculty and integrate blog articles written by faculty, current students and alumni. How do you source this information? Have a clear standard for the information you want. Have a staff resource who is assigned the responsibility of facilitating the gathering of data. Develop a structured template for gathering information. Schedule one on one meetings with faculty, staff, department heads. Pull program information directly from catalog. Have an action-oriented Dean on a web strategies committee. Request information updates on an annual basis. Is your Program Page ever 100% done? We have seen a lot of really good program pages during our research on this topic, and have included some stellar examples in this post. But we still have not come across the “perfect” program page. There is always room for improvement. I hope this information will help you make steps every single year to improve them. Thank you to everyone who contributed to this blog post. Jonathan Medford is founding partner of Inspire. He lives in Whiteville, NC where he is president of the Whiteville Rotary Club and board member of the Columbus Chamber of Commerce & Tourism. Marketing is not just a career for Jonathan, it’s a passion. When he has time away from developing results-driven marketing campaigns, he enjoys spending time with his family, and pickin’ the guitar.